The two e-commerce platforms have numerous different strengths. And either of them can offer an irreplaceable way for one to use in building their e-commerce store. Moreover, an entrepreneur can develop their e-commerce store alone all on their own without seeking the help of professional developers. Easy to use in developing. 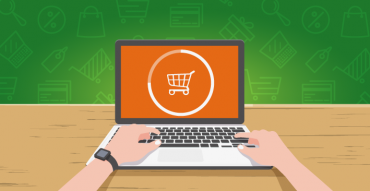 The aspects mentioned above should help one to know exactly what they need in their e-commerce store development based on their specific needs. 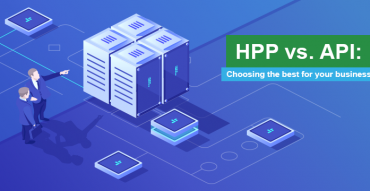 This article major objective is to show an in-depth comparison between the two options in trying to determine which one is the best e-commerce platform in 2019. So, let’a dive in! Shopify vs WooCommerce: Which one offers the best design? For e-commerce stores, the design is extremely crucial. It is hard for clients to trust an e-commerce store that lacks aesthetic appeal or one that barely functions as it should. Shopify’s visual quality in themes is its greatest selling point. That’s why most internet entrepreneurs have termed Shopify’s themes as absolutely fabulous. Shopify offers about 54 templates for store development. Of these 54, ten are free to use. Each of these templates varies uniquely. Therefore, the user is getting close to 100 different designs. Furthermore, all the designs are mobile compatible with a wide range of various coloring options. The designs used for building Shopify e-commerce stores are not in-house. They are all outsourced. This approach is useful in getting creative designs from different companies and individuals. The themes are quite easy to change. Users can easily adjust styles and colors. Developers more adept with store building can easily utilize Shopify’s language “liquidity” to effect considerable changes to their stores. Additionally, Shopify offers a Theme editor in the platform which developers can use in customizing their stores. The WooCommerce builder is used by developers as a Shopify alternative. Just like numerous other WooCommerce aspects, in the store aesthetics, the developer is free to get creative. All they need to do is just put in the work. WooCommerce is, essentially, a plugin developed by WooThemes developers. Therefore, WooCommerce does not offer any specific traits in its design. The platform provides entrepreneurs with the means for selling their services and products online. The part of the design, however, is left to the WordPress theme used. The developers of WooCommerce built it to work with a majority of themes. This implies that the user is free to choose any WordPress theme of their preference. He’ll still be capable of making it work in collaboration with WooCommerce. Every developer seeks to make more money from their e-commerce investment. The two e-commerce platforms have different pricing approaches. To say it simply, the pricing approach used by Shopify is quite straightforward and uncomplicated. Unfortunately, WooCommerce’s pricing approach is different. WooCommerce is basically an open source plugin that can be acquired freely. However, the developer has to take into consideration all the additional costs associated with using WooCommerce in developing an online e-commerce store. Using WordPress is also cost-free. But the developer has to consider factors such as the cost for getting a theme, the store’s domain name, the SSL certificate, and other additional extensions. On the other hand, Shopify is essentially about offering a comprehensive, single solution with just minimal pricing packages. After signing up, the developer is free to use their new e-commerce store. Everything they need is availed from the onset. Most developers prefer to use Ikajo for their payment processing. Ikajo is a payment service provider that works globally. Through the service provider’s proprietary and integrated payment platform, Ikajo offers its users payment services internationally. With Ikajo, online merchants are provided with cross transactions that are holistic and tools for fraud protection in cross payments. Besides, the fraud protection tools enable online merchants to detect and curb any fraudulent activity easily. 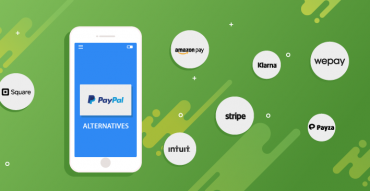 Contrary to the common misconception that most payment gateways put a hold on the funds paid by customers, Ikajo handles all the payment transactions in seconds and at no point does the transaction process interact with money since only corresponding banks deal with the money.Lastly, when trying to decide the best e-commerce platform to use, the developer should also take into consideration the transaction fees. Essentially, when the store makes a sale by using either of the two e-commerce platforms, a payment processor charges a small fee for its services and disbursement of the funds to your account. These fees often fluctuate, hence before making a decision of the platform, the developer has to consider the fees each platform charges. Sure thing, the comparisons between the Shopify and WoooCommerce alternative are not cut and dry. So, in recommending the best option, we would advise merchants to re-evaluate their needs and budget before deciding what platform to use.